People flush the toilet maybe five to 10 times a day. Ever wonder where it all goes and, once it gets there, what they do with it? On a per capita basis, Orange County (OC) homes, businesses and industry together generate over 80 gallons each day of raw sewage from toilet flushing, bathing, housekeeping and discharging industrial waste into drains. Most of us care not to think about sewage once it’s out of sight. However, thinking about sewage, and what best do with it, is exactly what the Orange County Sanitation District (OCSD) does. OCSD serves 21 cities with a total population of 2.5 million and in 2010 treated an average daily sewage inflow of 208 million gallons, enough to fill Angel stadium nearly three times. 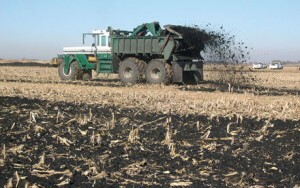 Its Biosolids Management Program (BMP), which converts the solid components of sewage into either soil amendments or fuel, has recently won awards for innovation and environmental stewardship but has also elicited opposition from parties claiming it is unsafe for both people and the environment because of the contaminants still present. Everything flushed or washed down the drain in north and central OC is piped to one of two wastewater treatment plants, one in Huntington Beachand the other in Fountain Valley. There, much of the water is separated from the solids and treated to reduce disease-causing pathogens before being discharged five miles offshore into the Pacific. Since 2008, a portion of the water is purified further by reverse osmosis – to exceed drinking water standards – and then released into percolation ponds in Anaheim to replenish local groundwater supplies. The solid materials left behind are referred to as sewage sludge and form a black slurry with a consistency of watery mud. In the 1980s, OCSD disposed of sewage sludge primarily at landfills in Newport Beach and West Covina. The BMP was conceived as a means to put sewage sludge to better uses through recycling and helping municipalities meet state-mandated limits on materials discarded at landfills. Biosolids are sewage sludge which has been “stabilized” to reduce odors and pathogens and turned into marketable products. Stabilization takes 20-25 days during which the sludge is incubated in enclosed vessels at 98°F where anaerobic bacteria do the work of breaking it down. OCSD boasts that the methane gas produced as a byproduct fuels 60 percent of the treatment plants’ operations. The resulting biosolids are what the U.S. Environmental Protection Agency (EPA) defines as ‘Class B’ in which 99 percent of pathogens are presumably eliminated. OCSD describes these biosolids as a nutrient rich, organic product which can be recycled as is on agricultural lands to improve crop yields or processed further either into an earth-like composting material for fertilizing home and commercial gardens or into a renewable energy source. Residual pathogens in Class B biosolids are primarily intestinal bacteria, viruses, and parasites which, if applied to land, are expected to die off from exposure to heat, sunlight and soil microbes during mandated waiting periods before grazing or harvesting of crops is permitted. OCSD touts that, since 2008, the BMP has met its goal of 100 percent beneficial reuse of biosolids so that none has gone to landfill. On average, 685 wet tons of biosolids were produced daily in 2010, all of which was trucked to one of three out-of-the-area biosolids contractors for further processing and/or distribution. Thirty nine percent went to a composting facility in south KernCounty, owned and operated by Synagro Technologies, where biosolids are composted with wood chips in a process requiring 40-45 days. 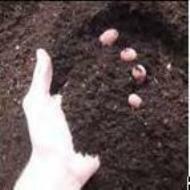 Composting reduces much of the ammonia smell characteristic of biosolids, and the temperatures reached are thought to eliminate residual disease-causing microbes so that the compost meets EPA ‘Class A’ biosolids standards allowing unrestricted land application, including for human food crops. About 75 percent of Synagro’s compost is spread on agricultural land in Kern County used for growing animal feed (a local ordinance prohibits use for human food crops), and the rest is sold on the landscape market. By a process of heat and pressure, a Rialto plant owned by EnerTech Environmental converted another eight percent of OCSD’s biosolids into charcoal-like fuel pellets which can replace coal in cement kilns and thereby reduce greenhouse gas emissions. The pellets produce twice the energy used to make them. The facility began operations in 2009 and is the first of its kind in the nation. However, the largest fraction of biosolids, 54 percent, remained as Class B biosolids applied to land for growing hay inYuma County, Arizona. OCSD has been forced to look out of state for land recycling of Class B biosolids because ordinances banning this practice have spread within California. Class B biosolids are not being utilized on Orange County lands because, according to OCSD spokesperson Sonja Morgan, the county is already so built up that agricultural opportunities are scarce. However, to foster public acceptance of the Class A compost, a few truckloads have been applied to garden areas at the Huntington Beach wastewater treatment facility and to baseball and soccer fields at a new recreation center inFountain Valley. In 2003, OCSD became the first wastewater agency in the nation to be certified for its BMP by the National Biosolids Partnership, a non-profit coalition of water quality organizations that recognizes biosolids programs for sustainable management practices that go beyond regulatory compliance. The BMP accrued additional prestige via awards earned last year by the Synagro composting facility. The “Composter of the Year Award” was bestowed by the United States Composting Council for moving the industry forward through environmentally sound business and recycling strategies. The California Department of Resources Recycling and Recovery recognized Synagro with its WRAP (Waste Reduction Annual Program) award for recycling over 800 million pounds of organic material. Despite such accolades, to say that not everyone is thrilled about what OCSD is doing with its sewage waste would be an understatement. In 2006, a whopping 83 percent of Kern Countyvoters passed an “anti-sludge ordinance” (Measure E) to prevent southern California jurisdictions from dumping their composted biosolids inKern County. This gesture reflected concerns about threats to human health and groundwater and local resentment that the practice had been going on for a decade. A representative of the County Counsel of Kern County said that little animal feed crop is being grown on the land, implying it is being used primarily as a dumping ground. Implementation of Measure E has been delayed by battles in federal and most recently state court, led by the City of Los Angeles which also uses Kern County lands for recycling biosolids. If Kern County prevails, county supervisors have given notice that Measure E will be implemented in October. Either way, OCSD plans to continue sending biosolids to Synagro whose problem it would be to locate other markets for its compost. Another stink over biosolids erupted in 2009 in San Francisco when “organic compost,” given away for free to the public by the Public Utilities Commission, tested positive for several endocrine-disrupting chemicals including flame retardants and triclosan, an anti-bacterial agent. The giveaway is now on temporary hold, and Food Rights Network, a nonprofit research group that oversaw the testing, has called for a permanent end to the program which it accuses of using home gardens as a dumping ground for the sewage waste industry. In general, controversy over the wisdom of recycling biosolids on farmland and gardens has heated up following release in 2009 of results of an EPA survey in which biosolids from water treatment agencies in 35 states were tested for 145 chemical residues. Every sample contained, at minimum, a host of different flame retardants, heavy metals and pharmaceuticals. The EPA report did not comment on what the implications might be for the safety of applying biosolids to home gardens or lands used for crops or grazing. However, the Organic Consumers Association (OCA), a non-profit group which advocates for organic standards, has launched a campaign against all such practices, emphasizing that biosolids are regulated by the EPA only for levels of pathogens and certain heavy metals. The regulations do not cover the wide spectrum of other chemical pollutants found in biosolids. Furthermore, the levels of toxic heavy metals allowed by the EPA are the least restrictive among industrialized nations. Both the OCA and Food Rights Network take issue with the fact that no laws require any labeling to inform consumers when compost is derived from sewage sludge and might contain contaminants. They want the public to know that the term biosolids was coined in a 1991 contest orchestrated by the Water Environment Federation – an association of water quality professionals – to find a marketable euphemism for sewage sludge. Adding to the controversy about biosolids, very little is yet known about the extent to which contaminants from biosolids might build up in soil over time or enter the food chain. However, red flags have been raised by studies published in recent months by researchers at the Colorado School of Mines. In one, higher levels of PFCs or perfluorochemicals were measured in soils amended with the most biosolids, raising concerns because PFCs are known to persist in the environment and bioaccumulate. Another study found evidence for bioaccumulation of antimicrobial chemicals in earthworms living in biosolid-amended soil, suggesting biosolids might alter soil ecosystems. Furthermore, articles recently appearing in the New York Times outlined concerns raised by federal regulators that radioactive waste from drilling for natural gas is turning up in wastewater and could end up on farmlands treated with biosolids. The OCA suggests that consumers concerned about the impact of biosolids on food safety should seek out foods labeled “USDA Organic” because, since 1998, organic standards have prohibited use of sewage sludge as fertilizer in food production. The OCA and the Food Rights Network are among the more strident opponents of biosolids recycling programs who want all sewage sludge handled as toxic waste and contained for disposal, which would mean a return to landfilling or even incineration. Others have called for more nuanced approaches. In a 2003-2004 report, the Orange County Grand Jury recommended that OCSD phase out Class B land-application programs and upgrade all biosolids to Class A. Congressman Jose Serrano of New York has recently introduced federal legislation that would prohibit grazing or growing crops and animal feed for a full year on land spread with biosolids and would require any foods grown on such land be labeled as such (HR 254). The Sierra Club’s recommendations include tightening restrictions on allowable contaminants and creating buffer zones around treated fields to protect nearby residents from airborne contaminants. 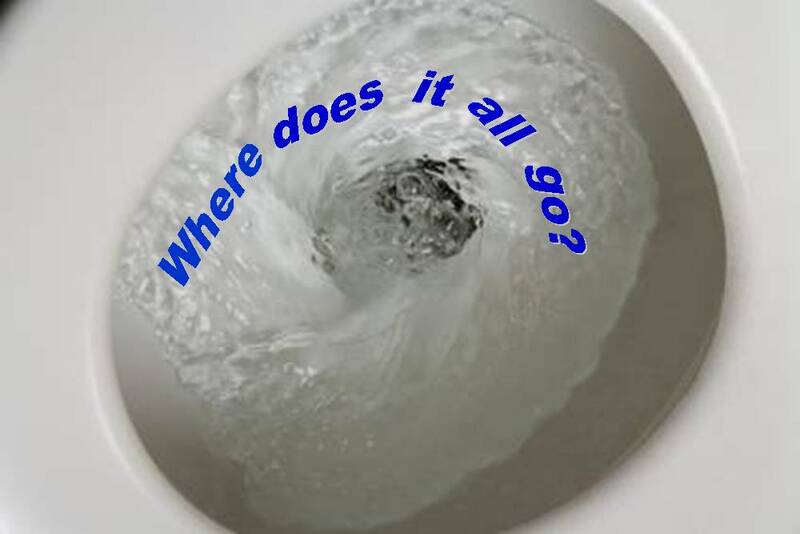 Whatever future tacks the OCSD might take to improve on the sustainability of its program for managing sewage waste, homeowners, businesses and industry also must move beyond “out of sight out, out of mind” and give due attention to the toxicity of what is being flushed down drains and in whose backyard that waste ends up. OCSD’s ongoing “No Drugs Down the Drain” public education campaign is meant to foster such awareness. Perhaps a debate over the safety of recycling sewage waste is just the wakeup call America needs to force it to rethink the reckless approach to chemicals regulation which has allowed some 80,000 chemicals into commerce, most without any health or environmental safety testing let alone plans for how to best handle the tainted sewage that results. This entry was posted on Thursday, May 5th, 2011 at 4:02 pm and is filed under California, energy, health, Orange County, pollution, science, sustainable living, toxics, waste. You can follow any responses to this entry through the RSS 2.0 feed. You can leave a response, or trackback from your own site.